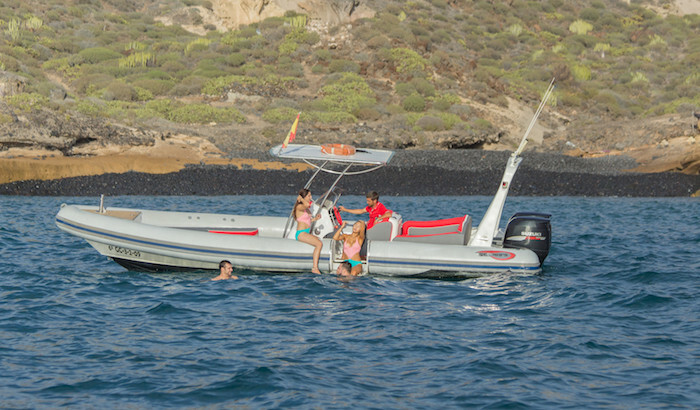 White Tenerife, leading company in nautical services in Tenerife, offers you a different experience aboard a powerful outboard boat to experience unique sensations at sea. An excursion of 1 hr. 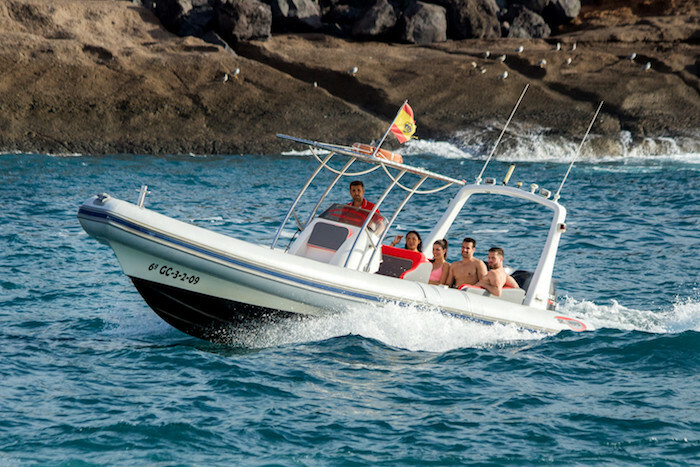 duration in which to see whales and dolphins in their natural habitat, visit places on the coast that other boats can not access, swim in clear waters away from the crowd and, if you wish, feel the adrenaline of speed, always with security as the main objective. Private charter of 1 hr. of duration. On demand every day of the week. 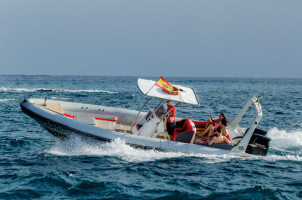 Pantalán 6. 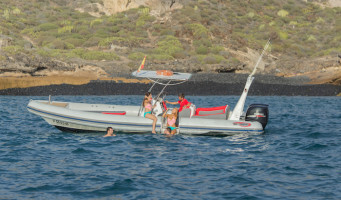 Marina Puerto Colón (Costa Adeje).